Not to be outdone by our own initiatives regarding legal marijuana, Canada stepped up as the first G7 nation to approve recreational weed. Our northern neighbor’s upper chamber voted 52 to 29 favoring Bill C-45, a proposal to overturn a multi-year cannabis ban. 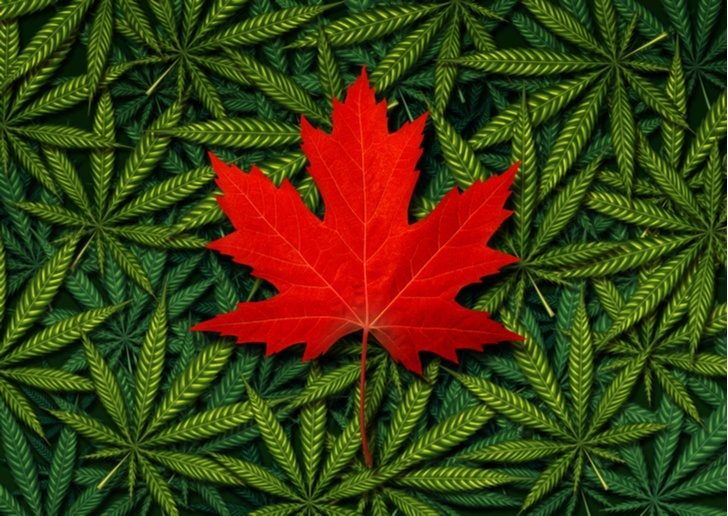 Canada’s decisive push towards legal marijuana is miles ahead of our archaic views towards the controversial plant. Although the legalization movement resulted in unprecedented electoral victories in 2016, the federal government considers cannabis a Schedule I drug. Therefore, even though individual states are recreationally legal, the feds could theoretically crack down at any moment. Will they do that? Probably not. Despite criticism to the contrary, President Trump is first and foremost human, and therefore, he’s not totally immune to disparagement. I’m sure he watches his approval rating with a careful eye, and he likely won’t promote grievously unpopular proposals. With so much drama at the White House, overturning legal marijuana is not something he needs to do. That said, a Schedule I classification is not without consequences. Cannabis-related businesses, even operating under liberal and fully-legal jurisdictions, find obtaining financing exceptionally difficult. Traditional lenders are all about risk assessment and management. That federal officers can shut down cannabis companies overnight obviously makes bankers queasy. This is why Canada’s proposal on legal marijuana is so critical for investors. A significant reason why some U.S.-based cannabis stocks haven’t performed well is due to the Schedule I overhang. If bankers don’t want to lend their money, it goes without saying that investors don’t want to waste theirs, either. And no matter how you cut it, legal marijuana, despite its prefix, remains overall highly speculative. But with Canada’s legislative victory, they lever a critical advantage over our homegrown weed. Hidden underneath Canada’s recent headline is that their legislators aren’t just cannabis supporters; they’re enthusiastically so. For starters, nearly two-thirds of their upper chamber voted for legal marijuana. More importantly, Bill C-45 passed just days before a Parliamentary recess. As things stand, Canadians can probably enjoy retail cannabis within three months from now. A big number to consider is 68%. According to a Dalhousie University-sponsored report, that’s the allocation of Canadians supporting recreational cannabis. Furthermore, almost half of respondents stated they would try marijuana-infused food products if Canada legalized them. On a related aside, the Pew Research Center revealed that 61% of Americans support legalizing marijuana. I mention this because the Canadian government is acting not just on its constituents behalf; the western world is increasingly favorable towards weed. Given this overwhelmingly positive sentiment, Canada is unlikely to reverse course later, even if a conservative administration takes over. As an investor, your best bet is to take a shot on reputable, established Canadian cannabis firms. In particular, I like Aurora Cannabis Inc (OTCMKTS:ACBFF). In my 30-stock gallery for InvestorPlace, I featured Aurora due to their delivery of medical-grade cannabis products at affordable prices. But thanks to their native country’s stance on recreational marijuana, I expect their business to expand beyond the medicinal realm. This is also a time you can take some risks. For example, Canopy Growth Corp (NYSE:CGC) received a generous boost off the legislative tailwind. The Ontario-based Canopy Growth specializes in a wide variety of marijuana-based products, including dried flower, cannabis oils, and hemp. Since the beginning of May, CGC stock has jumped over 47%. I’d also look into Namaste Technologies Inc (OTCMKTS:NXTTF). Though highly speculative, NXTTF offers significant retail exposure. Plus, Bill C-45 helps their desired expansion into the popular vaporizer arena. One of the most exciting investment components of legal marijuana is its disruptive nature. As an officially recognized revenue source, cannabis firms can offer “adult liberties” beyond the traditional alcohol and tobacco fare. And many analysts will agree — even those that hate its derivative products — that the blockchain technology is equally transformative, if not more so. Anecdotally speaking, you’ll find many that cryptocurrency investors also support legal marijuana. Some might cynically respond that birds of a feather flock together. Perhaps that is the case. But in any event, the blockchain economy offers a viable alternative for companies seeking non-traditional financing. Significantly, our Securities and Exchange Commission recently declared that bitcoin and ethereum are not securities. This potentially paves the way for more favorable treatment of cryptocurrency-based projects. With Canada being more liberal than the U.S., the blockchain could exert considerable leverage in the future. Right now, the most practical way to invest in the “botanical blockchain” is to buy volatile and speculative cryptocurrencies like potcoin. But in the longer-term picture, I expect massive political and societal changes. With education comes tolerance and acceptance, and both legal marijuana and the blockchain stand to benefit. As of this writing, Josh Enomoto is long potcoin. Article printed from InvestorPlace Media, https://investorplace.com/2018/06/canada-goes-green-here-are-your-legal-marijuana-options/.